Where is the promise of his coming? | Looking for that Blessed Hope! Knowing this first, that there shall come in the last days scoffers, walking after their own lusts, And saying, Where is the promise of his coming? for since the fathers fell asleep, all things continue as they were from the beginning of the creation. 2 Peter 3:4-5. In recent years, Hollywood has made a few movies mocking the Rapture while the secular society has made a laughing stock of it. But, make no mistake, the promise of His coming is the Blessed Hope, His glorious appearing. 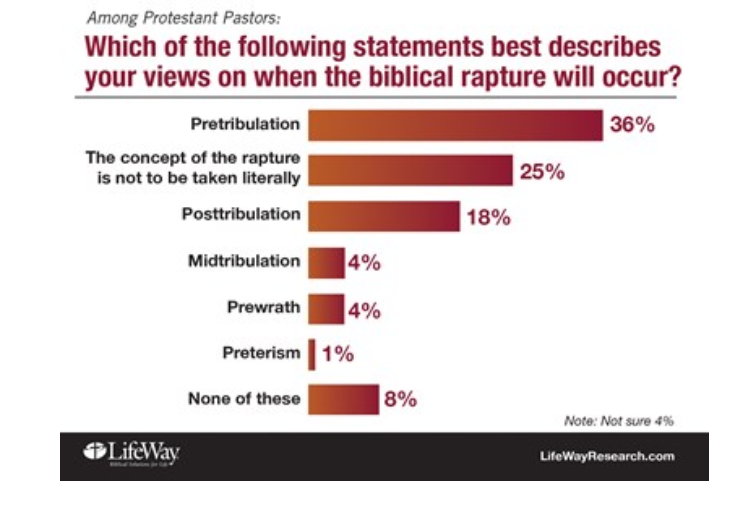 Now, in a recent survey of 1,000 senior Protestant pastors, only 36% believe in the per-tribulation rapture of the church while 25% believe it is not to be taken literally. In all, a full two thirds have a different view of what the bible teaches confirming just as the bible teaches of the last days scoffers. This entry was posted in Ministry and tagged Last Days Scoffers, Mockers, Pre-Tribulation, Rapture by atharris. Bookmark the permalink.